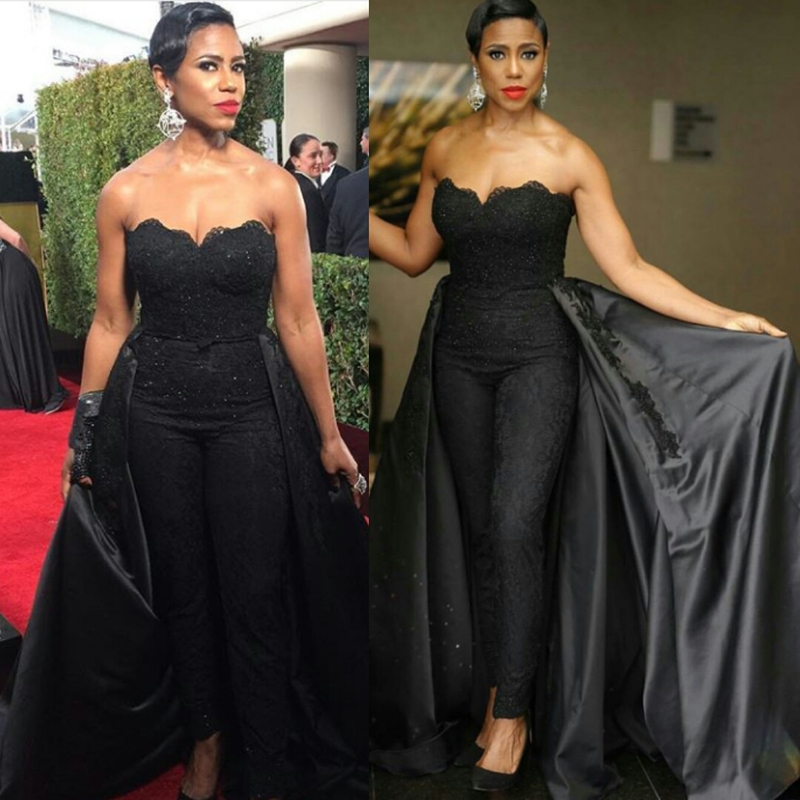 My Top 7 looks of the 74th annual Golden Globes. 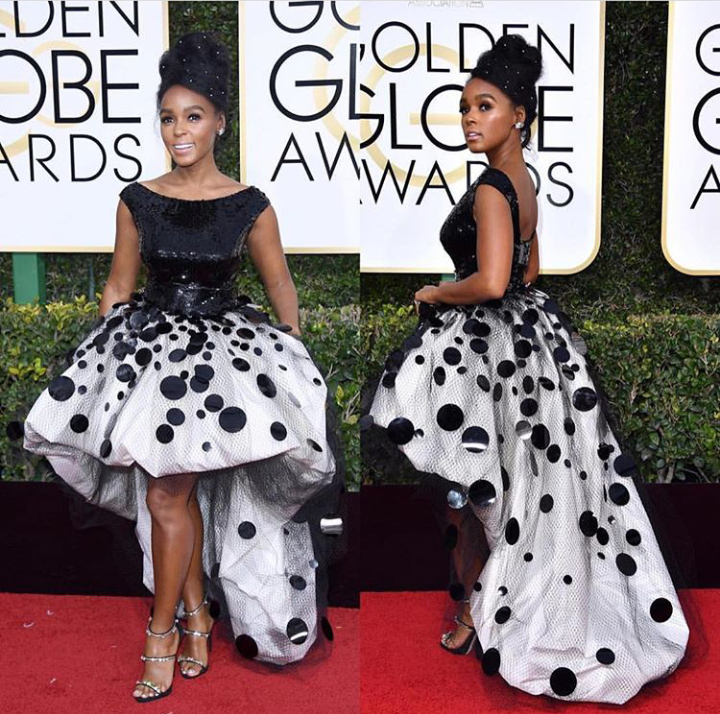 Natural Diva Janelle Monae turned heads in her polka dot, high-low dress by Armani dress (IG:Armani). 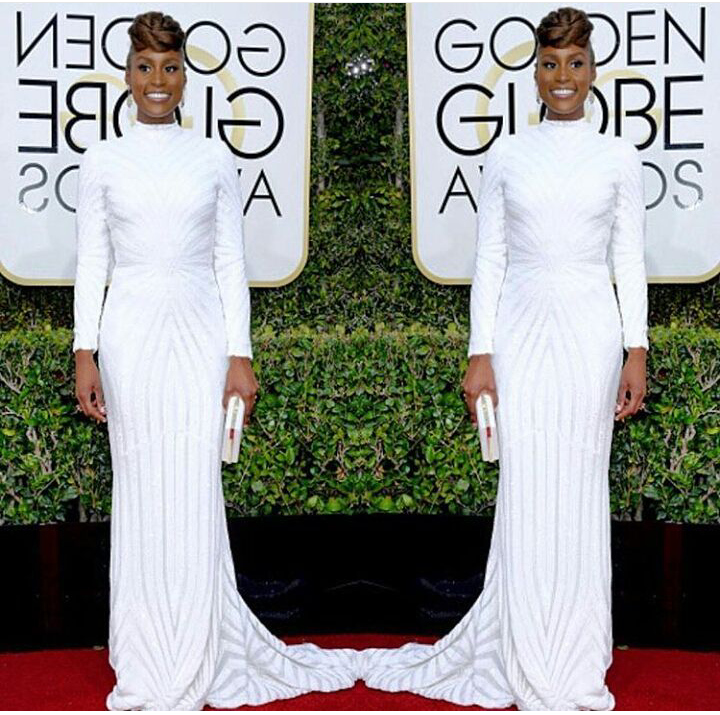 Known for her Black and White look the “Hidden Figures” actress with her hair adorned in glitter she stepped out looking magical. Out supporting her co-star Octavia Spencer nominated for Best Performance by an Actress in a supporting role. Comment below who rocked your favourite look of the night!